Authorities in Britain seized and destroyed a ton of Bulgarian dried wild mushrooms after discovering excessive levels of radiation in them. The shipment was identified by the UK Border Agency and was found to contain radioactive cesium 137, emitting radioactivity 10 times more than the maximum allowed level of 600 becquerels per kg for Cs 137, reports the Daily Mail. The British border control seized the shipment at Humber Sea Terminal, North Lincolnshire and delivered it to health authorities, which subsequently destroyed it. 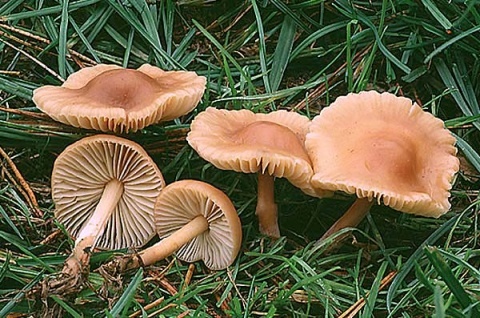 Initially, it was thought the mushrooms have been irradiated d by the Fukushima NPP disaster, but according to the Daily Mail, after speaking with the Bulgarian Food Safety Agency, the UK Food Standards Agency has concluded that the mushrooms might have suffered the consequences of the Chernobyl NPP disaster back in 1986. The UK Food Standards Agency has reported it has issued an EU-wide food safety alert relating to the case. It has confirmed that no radioactive mushrooms from the shipment have reached the British shops and consumers.